﻿Welcome! SALT The Spa is a luxury spa located in Wellington, Florida. We offer specialty services in nail care, massage therapy, skin care, body treatments, and salt treatments. Whether you are wanting a manicure and pedicure, massage, facial or want to experience the multitude of health benefits from sitting in one of our salt caves, SALT The Spa is here to indulge you. 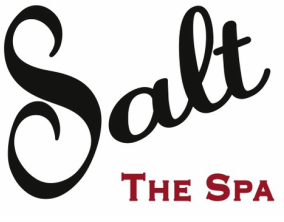 SALT The Spa takes pride in the experience and expertise of their employees. All their employees are highly skilled in the most effective and healing treatments for their valued clientele. The owner and founder, Marianne Porto, has been a massage therapist and aesthetician in the area for over 20 years. She wanted to be able to provide the most innovative treatments for her clients by utilizing the healing powers of salt while still practicing traditional massage and skin care services.